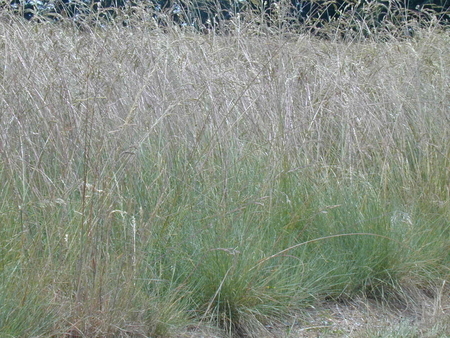 Because this is the dominant native bunchgrass in the upland prairies west of the Cascades from southern British Columbia to central California it is an easy choice for mass plantings. With its fine thread-like leaves of steely blue-gray that form tussocks 10 in. height, it is very beautiful too, even planted individually in the landscape. No concern over ecological invasiveness. Drought and deer resistant.